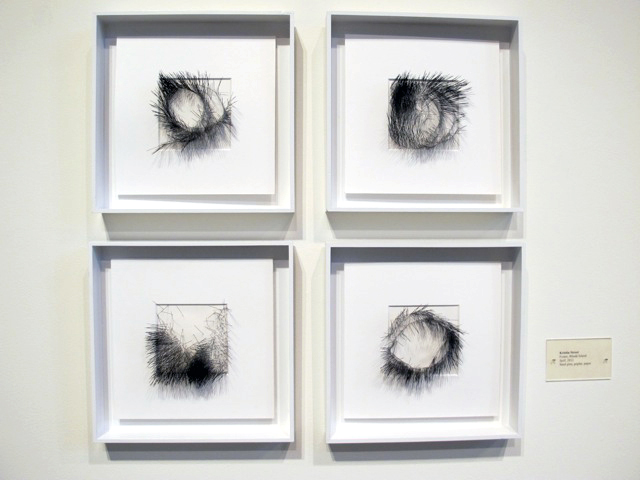 At the Duxbury Art Complex in Duxbury, MA there’s only a short period of time before the ‘Hidden Worlds‘ exhibit by 19 on Paper comes to and end on November 9th, 2014. This group from Rhode Island was organized in 1986 and still has a robust collective of artists that focuses on art made on paper. The above pieces are entitled ‘Spill’ by Kristin Street are constructed with steel pins, poplar and paper that creates a fascinating three dimensional quality which defies gravity. 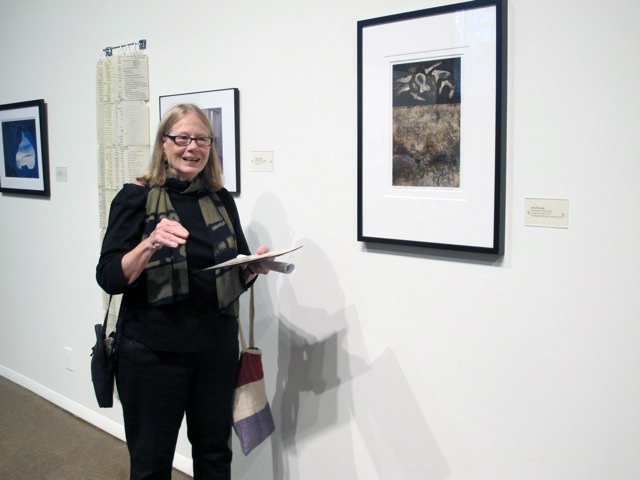 Joan Hausrath is one of the ringleaders for the 19 on Paper collaborative who recently gave a talk on the participating artists’ interpretations of their individual pieces and how they relate to the concept of Hidden Worlds. Joan’s collagraphs are a personal favorite with their textural characteristics and ties with primitive art that tie perfectly with this printmaking medium. 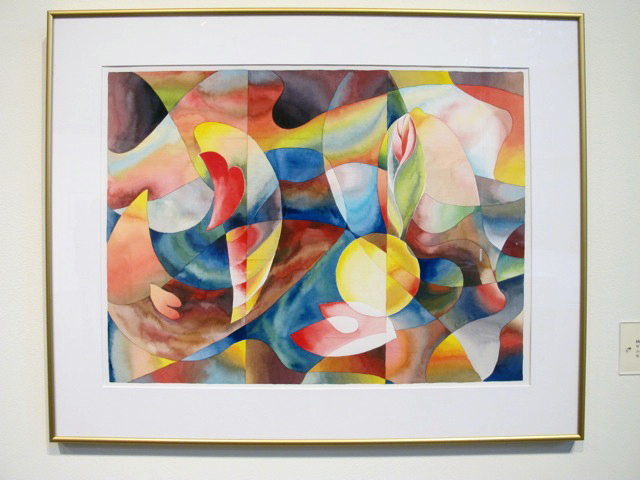 There’s a wide diversity of styles included in the exhibit such as this watercolor by Hiroko Shikashio entitled Journey to Peace. 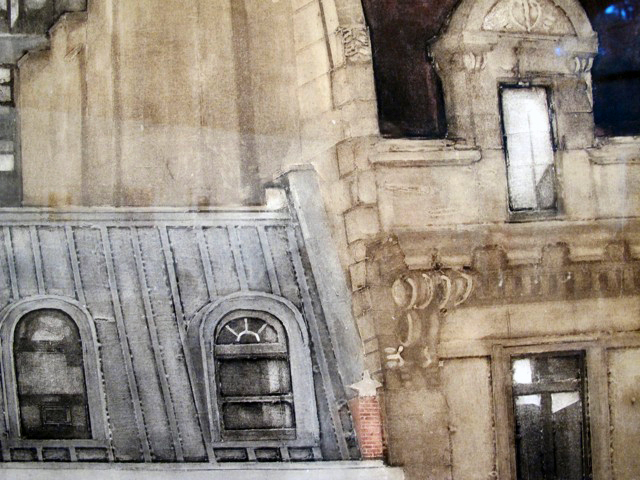 This detail of a collograph with silk aquatint is by printmaker Grace Bentley-Scheck. Grace hand wipes the ink on every single print she produces which are generally editions of 100. 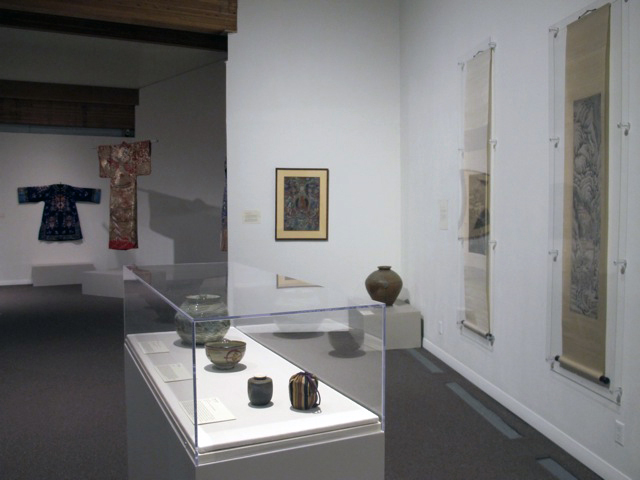 Asian Connections Exhibit at the Duxbury Art Complex. 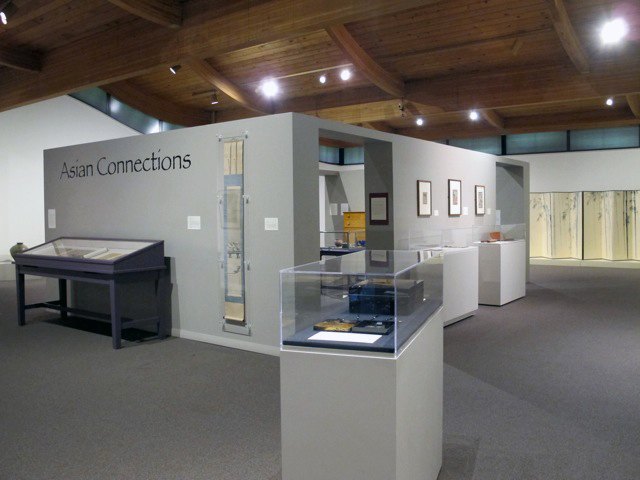 Also at the Duxbury Art Complex Museum is the Asian Connections exhibit which features over 70 pieces from the museum’s permanent collection of more than 1,450 fine pieces from throughout Asia. 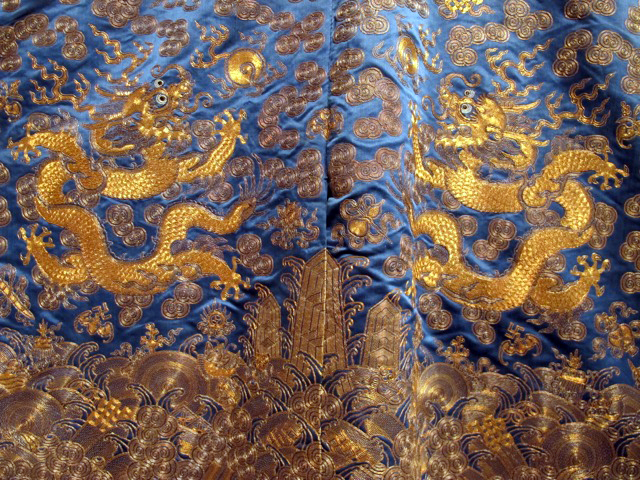 There’s a display of finely embroidered Chinese robes. The exhibit features 14 Chinese scroll paintings that Director Charles Weyerhaeuser wanted to display. From paintings to prints, pottery to lacquer ware, bronzes, glass and jade is all on display and curated by Alice Hyland, a professor of Chinese art at Trinity College in Hartford. The goal is to define the differences in the aesthetics of each region of Asia. This exhibit runs though January 18, 2015. You are currently reading 19 on Paper and Asian Connections at donna ingemanson studio.